Since Sydney’s Bicentenary celebrations in 1988, the notion of the city as a venue for mass festivals has gained traction. In 1994, the year after winning the bid to host the Olympic Games, Sydney City Council had a vision for how the Games might change Sydney. Its Living City: A Blueprint for Sydney aimed to create a “vibrant city that is active 24 hours a day”. And in the City’s later 2008 vision for the year 2030, Sydney City Council’s goal was “a lively, engaging City Centre”. 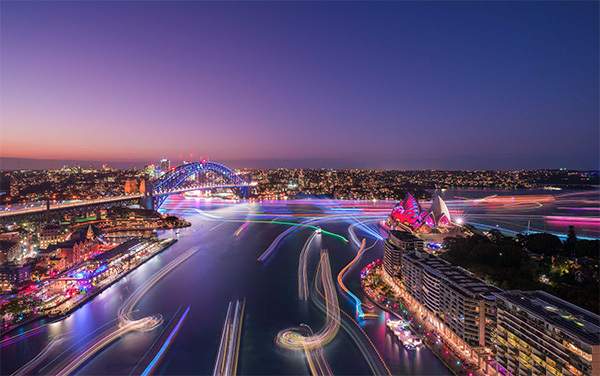 The first Vivid Sydney was held the following year, in 2009, and seemed to realise that vision. Vivid was first conceived as an artistic exploration of smart and sustainable energy, and since its first incarnation it combined light, music and ideas. The music component had a rather arty edge. Brian Eno, who has collaborated with David Bowie, U2 and Coldplay, curated the Luminous music event at the Sydney Opera House. Eno is famously one of the pioneers of ambient music and there seemed a shared aesthetic sensibility between his sonic vision and the ethereal light painting that lit up the sails of the Opera House from that first year. 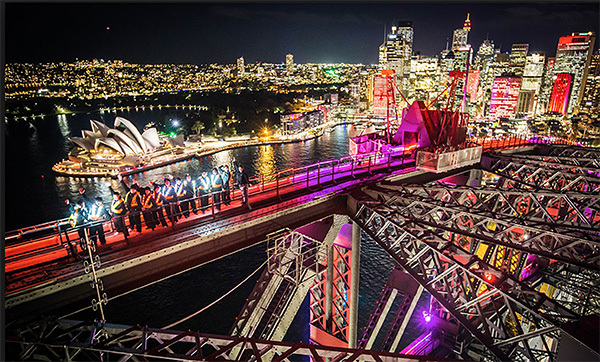 Six years on and the popular appeal of Vivid Sydney has become enormous. 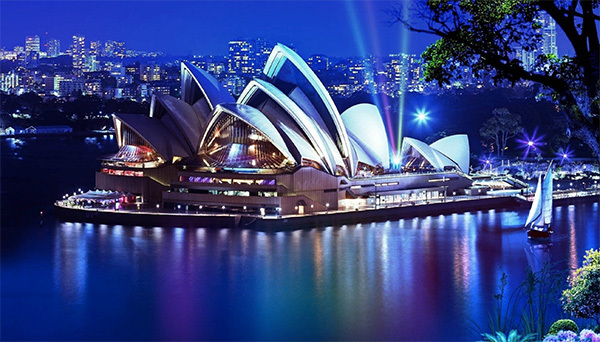 The music component now includes not just in the Sydney Opera House, but clubs, theatres and music venues across the city, with performers such as Daniel Johns and Grace Jones. 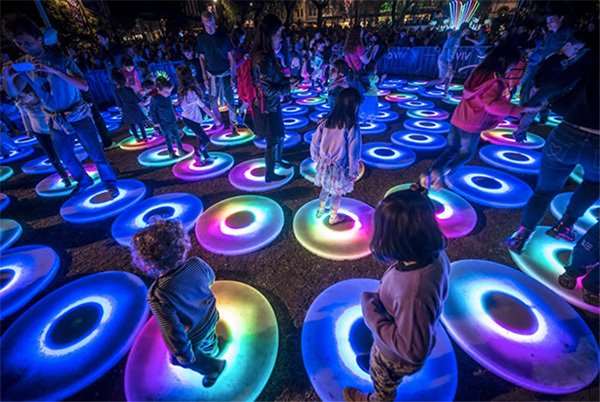 Vivid Sydney is as much a festival of music and popular culture, as it is about light installations and exploring ideas. 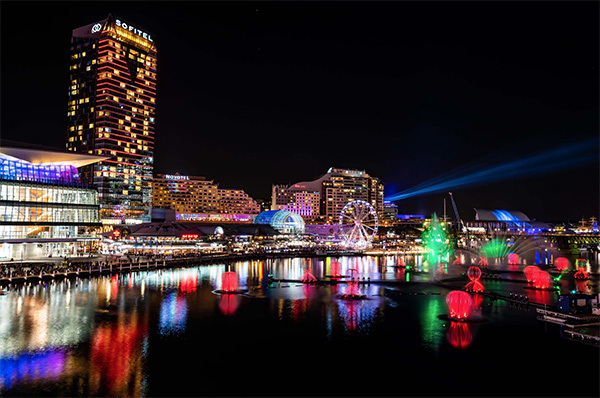 Last year, in Vivid Sydney’s 18 days it received 1.43 million visitors, “exceeding the population of Adelaide and surpassing the total number of international tourists to Fiji last year,” as Andrew Stoner, NSW Minister for Tourism, boasted. Wandering the temporarily pedestrianised streets around The Rocks and Circular Quay at last year’s Vivid, it certainly felt like it. The crowds thronged the streets as if it were New Year’s Eve. 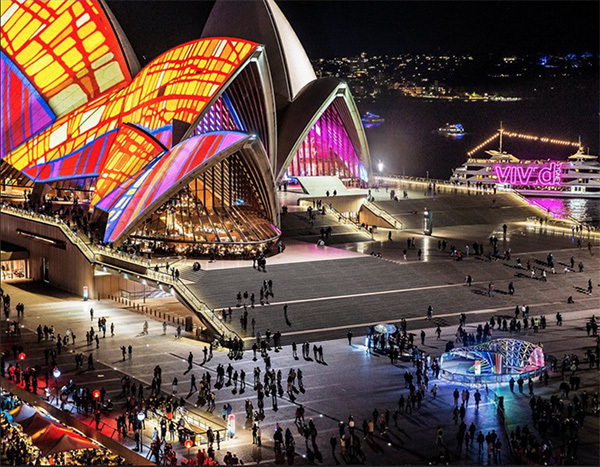 But maybe there is something artistically valuable in the very fact that an event like Vivid Sydney is massively popular? 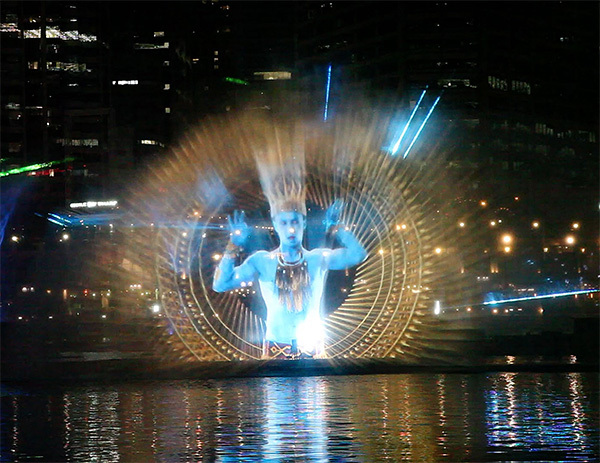 Perhaps Vivid Sydney is exactly that art, Grace Jones and all.